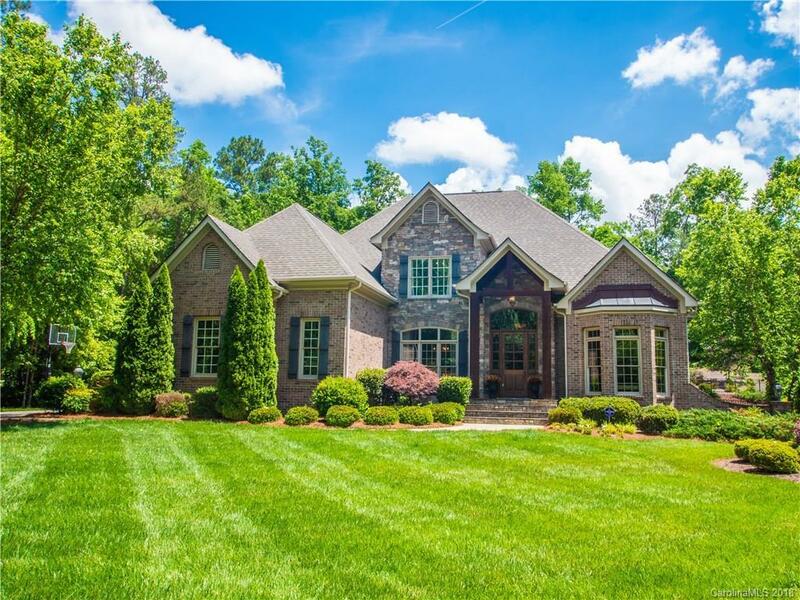 Remarkable custom home in the exclusive gated Pine Creek neighborhood. This home has it all including an in-ground pool with waterfall, outdoor fire-pit, pergola and custom landscaping. Fenced in yard and in-ground irrigation system. Custom trey ceilings, baseboard and crown moldings. Gourmet kitchen with large island and tons of cabinetry. Large pantry. Open floor-plan with lots of living space including an office, living and great room on the main level. Finished garage with extra shelving that conveys. Huge Master suite on the main level. Curved staircase leading upstairs. Theater/Media room with surround sound, custom paint, projector & screen and refrigerator. So many custom designer features. Large bedrooms and bathrooms throughout. Lots of extra storage. Be sure to see the additional finished space in the upstairs bedroom (princess area or boys hideout). Truly your own private acre of land on a cul-de-sac lot. Be sure to check out the virtual tour video.